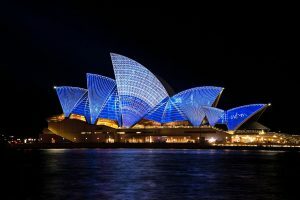 Fly Etihad Airways to Sydney! My favourite America Airlines partner airline is Etihad Airways – the national airline of the United Arab Emirates, operating from their home in Abu Dhabi (AUH) – offering destinations all around the world. Etihad Airways is most famous for “flying reimagined” and innovating when it comes to their First Class product. They introduced the First Class “Apartment” on their Airbus A380 a few years ago, and it is arguably the best First Class product in the sky. Etihad Airways features an incredible First and Business Class product on all of their aircraft. Keep in mind, that only the Airbus A380 features the First Class Apartment with a shower – other Etihad aircraft feature First Class, however it will be a more traditional “seat-into-bed” First Class. If you really want to fly the Airbus A380 in First Class to experience the Apartment, you can fly to/from Abu Dhabi to destinations like New York, London, or Sydney – all can be booked using American Airlines miles. Whether you decide to fly First or Business Class with Etihad, you won’t be disappointed. Etihad Airways offers an incredible product in both cabins, delicious catering, great service, an easy transfer experience in Abu Dhabi, and more. One you’ve made it there, simply fill out your route, date, number of passengers, class of service, and make sure to select “Miles”. It is better searching one-way at at time rather than round-trip flights. The next page will bring you a result of flights on that selected date, plus a calendar view above the flights – you can easily switch dates using the calendar located above the results. The results page is very easy to analyse. Your desired flight will need to have availability under the “GuestSeat” award category. Etihad’s partners are only able to book an award seat if Etihad releases “GuestSeat” award space. In this case, we can see that there are 2 award seats on both flights in the “GuestSeat” award category. Any of Etihad’s partner airlines will be able to book these flights. If there’s no availability on your desired date, simply use the calendar above the results to switch dates. Once you have found a flight that works for you, write down the flight number and date as you will provide this information to American Airlines during the booking process. You can redeem American Airlines AAdvantage miles for any Etihad Airways flight that has availability (as found above). You can even mix American Airlines or any of their other airline partners on the same ticket. This is an incredible opportunity to fly some great airlines on one, single ticket. view the American Airlines flight award chart for oneworld and partner airlines. For example, you can fly from Chicago to New York on American Airlines and fly from New York to Abu Dhabi on Etihad Airways. You could even add on another AA partner airline from Abu Dhabi to elsewhere in the Middle East. To search for American Airlines award space, simply use AA.com. To book Etihad Airways flights using American Airlines miles, your best option is to call American Airlines Australia. The AA Australia agents are much more competent and can see almost all of the award space Etihad Airways releases to partner airlines – something that the U.S. agents can’t for some reason. Once you’ve found the award space on Etihad’s website, you will want to call AA Australia at: +61 2 9101 1948. Simply provide the agent the flight information you have found above on Etihad’s website in the “GuestSeat”award category. Keep in mind that American Airlines allows 5-day holds for free on award tickets. My recommendation is to place the flight on hold for a few days and view the booking on AA.com to verify if everything matches your desired flights. You can also add and remove more flights to the booking during the time the booking is on hold. Keep in mind that American Airlines allows only four flight segments on a one-way award ticket. My favourite use of American Airlines miles is exactly on Etihad Airways in First or Business Class – on any A380 route. American Airlines will only charge you the taxes/fees on any Etihad award ticket and therefore you usually won’t be paying more than $100 USD per passenger as no fuel surcharges are charged. Etihad Airways is incredible. The airline features a great First and Business Class product on all aircraft, as well as amazing lounges at their hub in Abu Dhabi. My favourite “trick” is to have a layover in Abu Dhabi of up to 23h 59m on the same ticket (it is then considered a connection and not a stopover) and therefore I can spend a night and explore the city. Awesome! I concur, Etihad is incredible! Thanks for the post and Keep it up. is there a trick to finding an open seat? I’ve tried multiple searches and they’re all sold out! How do you know how many miles it will cost? You look at the AA partner award chart. is first class for the apartment seating? First Class on the EY A380 is the Apartment. 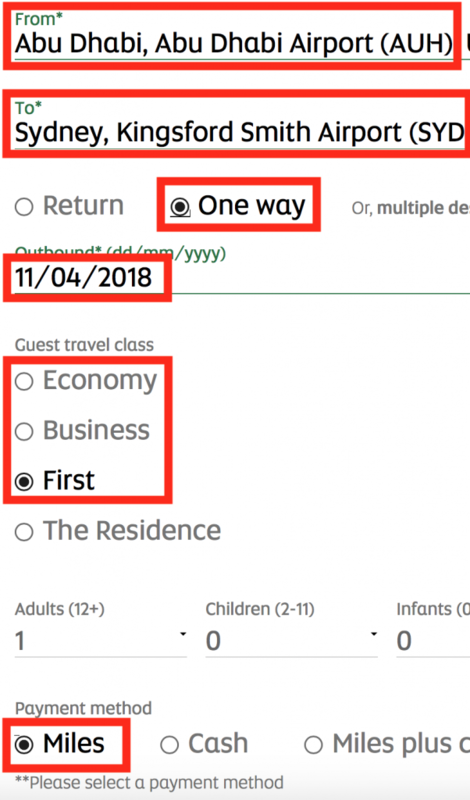 Found the “Guest Seat” availability in Business class for AUH to LAX but when I call American to use my miles, they state that those seats are not available to AA award partners. I’ve tried several days in a row. Your website states that if the “Guest Seats” that show avail are available to ANY partner rewards program. Apparently this is NOT true. You might have to hang up, call again. What the article states is 100% accurate. I am flying SYD to AUH to JFK. I have the SYD to AUH on hold with AA for 100k miles. How can I add the AUH to JFK portion on to that ticket? Thank you! Find a date that is available and add it on. However, you will pay for two awards. How do you get a layover of 23h59m in Abu Dhabi? Do you just need to find a flight that already has that layover built in? Thanks for the tip, btw! You search for each flight separately – first to AUH, and then from AUH.